Q. 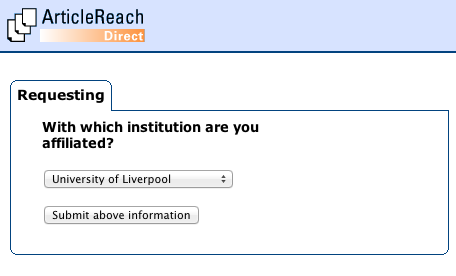 How do I log into ArticleReach? 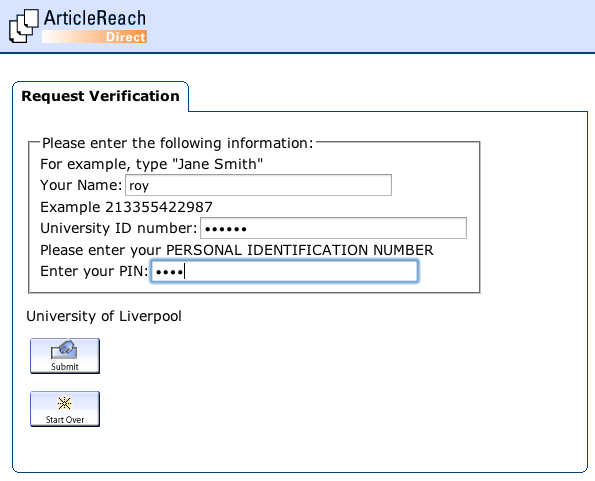 Log into ArticleReach using your name, University ID number and library PIN. If you do not have a Library PIN, you will need to create one in My Library Account. Once you have submitted your details, you can confirm your request.